SonoraFest, a binational event welcoming Sonoran businesses and artisans to Arizona, will take place this weekend, marking its second consecutive year in Sierra Vista. SonoraFest will be held inside the Mall at Sierra Vista on Saturday from 10:00 a.m. to 6:00 p.m. and Sunday from noon to 4:00 p.m. It will feature nearly 50 international vendors, underscore the economic importance of the Arizona-Sonora megaregion, and help to build stronger relationships between citizens, businesses, and governments on both sides of the border. 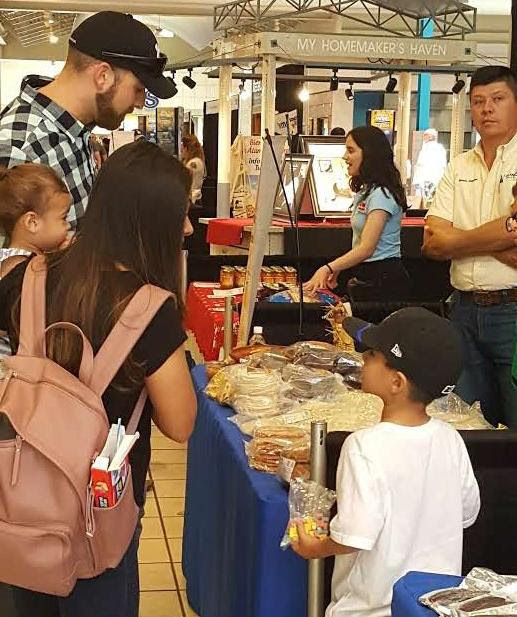 Free and open to the public, the event features a wide variety of vendors showcasing clothing, jewelry, furniture, salsas, sweets, snacks, and more from the Sonora region. Entertainment will be continuous on both Saturday and Sunday. Back by popular demand, electric guitarist Alfredo Valenzuela of Naco, Sonora, will perform, as well as folklorico dancers, and more. Mariachi groups will perform twice on Saturday and once on Sunday. For more information and a schedule of events, see SonoraFestAZ.com. Spearheaded by the Sierra Vista Hispanic Chamber of Commerce, SonoraFest is a binational effort with support from the City of Sierra Vista; Secretariat of Economy, State of Sonora; Mexican Consulate, Douglas; The Mall at Sierra Vista; and the Sierra Vista Area Chamber of Commerce; and sponsored in part by Herald/Review Media, Texas Roadhouse, and community partners.